Hi Everyone, and welcome to Meet The Authors September! I have an AMAZING line-up of authors this month with some amazing exclusive content that I can't wait to share with you over the next week. If you want a sneak peak, I just revealed all the authors that will be on my blog on this Twitter thread! 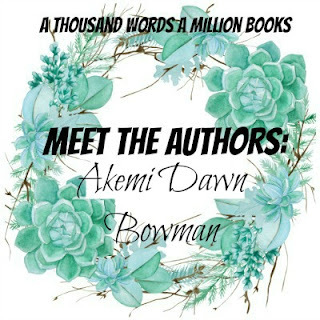 Without further ado, please join me in (virtually) welcoming the LOVELY debut author, Akemi Dawn Bowman to A Thousand Words A Million Books. I had the chance to read her debut novel, Starfish which was utterly beautiful and perfectly written and I could not recommend it ENOUGH which you can read more about here. 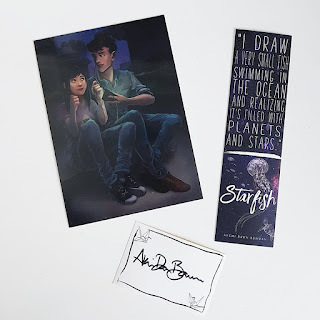 The amazing Akemi Dawn Bowman is answering some of my burning questions after reading Starfish and is being amazing enough to give away a copy of her book, open internationally! 1. What are some of your favourite YA books with Asian main characters that you would recommend to readers?WHEN DIMPLE MET RISHI by Sandhya Menon, WANT by Cindy Pon, and EVERYTHING, EVERYTHING by Nicola Yoon. I have THE EPIC CRUSH OF GENIE LO by F.C. Lee in my reading pile and can’t WAIT to start it. Also, AMERICAN PANDA by Gloria Chao comes out next year, and I already know it’s going to be incredible! 2. Are you an artist like Kiko? If yes, what is your preferred medium? I try to be, but I’m nowhere near as good as Kiko! Acrylics are my favorite if I’m doing anything that’s going to make a mess, otherwise I mostly enjoying doodling with just a sketchbook and a pencil. I also took two years of ceramics in high school, and I absolutely loved it. 3. What are five things you need to take with you every time you leave the house? 4. My kids! I’ve got a three-year-old and a one-year-old, so I’m pretty much always with them. 5. The diaper bag, which is mostly filled with food. The hungry/angry thing is very real with toddlers! 4. 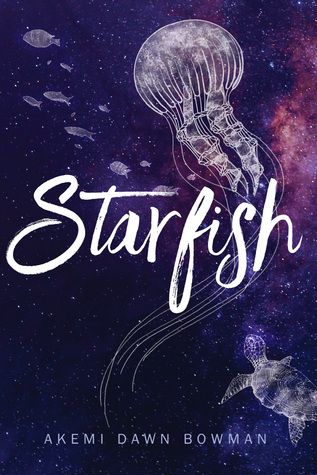 For those readers who haven't heard of Starfish, would you tell them a little about the book in your own words? Starfish is a story about a biracial teen artist named Kiko Himura, who fails to get into her dream art school and struggles to find another path in life. 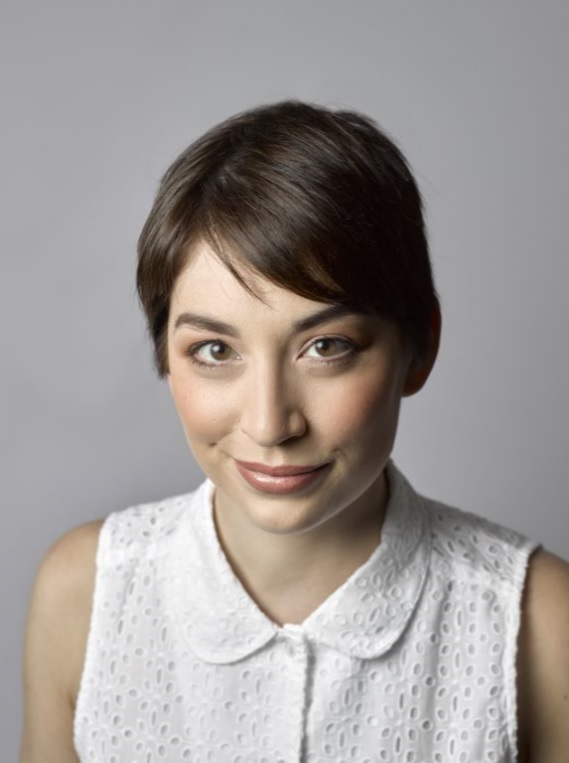 It deals with social anxiety, a toxic maternal relationship, and learning what it means to find self-acceptance in a world that doesn’t always make it easy. 5. Starfish explores a lot of themes including mother daughter relationships, art, anxiety and finding oneself. What is the most important message you would like readers to take back from it? It’s honestly hard to pick just one, because there are so many themes in this book that tell their own mini story. But I hope that readers will finish this book believing that beauty isn’t just one thing, and that they’re worthy of love. And perhaps most importantly, I hope they know they aren’t alone. 6. If you could give one piece of advice to Kiko, what would it be? Just remember that healing isn’t a straight road. There are ups and downs and twists and turns, but they will get less bumpy over time. 7. Diverse Books and Own Voices are so important in helping the teenagers of today become better people of tomorrow. What can we see from you next in the bookish world? I’m currently in the middle of edits with my next book, SUMMER BIRD BLUE, which is due out in Fall 2018. It’s about a teenage songwriter named Rumi Seto, who loses her sister in a tragic accident, and is sent to Hawaii for the summer to live with her aunt while her mother deals with her own grief. It’s a story about loss, and sisters, and learning to say goodbye to someone who is already gone. The main character is multiracial, asexual, and the book takes place in Hawaii so most of the characters are PoC. I’m really excited to share more soon, because I absolutely love this story!